The Hyundai Elantra – and the Kia Forte. 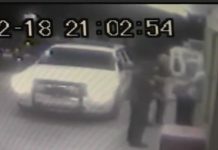 This isn’t Camaro/Firebird – or Tahoe/Escalade. The same thing sold under two different labels. Usually for two very different prices. There are meaningful – functional and physical – differences between the Elantra and the Forte (which was reviewed here, earlier). For instance, the Hyundai has several inches less back seat legroom than its Kia counterpart (35.7 inches vs. 37.3 inches for the Forte). 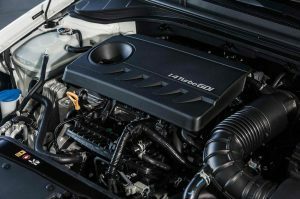 But – on the upside – it offers more engines, including two different engines not offered in the Forte. Such things give prospective buyers a meaningful choice to make – and not just between these two. As I read through the Elantra’s specs, I noticed that many of the important ones (such as interior space, MPGs and the drivetrain roster, even) are awfully close to the Sonata – the Elantra’s mid-sized (and higher priced) brother from the same mother. This kind of thing is becoming not-uncommon. That is, model overlap. Another example – higher up the brand/price ladder – is the BMW M2 vs. the M4 (read about that here). The good news for smart buyers about brand overlap is they can get almost everything the Sonata offers for thousands less than the Sonata costs. But the bad news – for Hyundai – is that smart buyers may buy more Elantras than Sonatas. 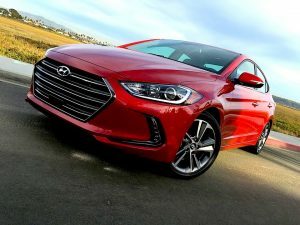 The Elantra is Hyundai’s compact (now almost mid-sized) sedan, related to the Kia Forte – but different in terms of what’s available under the hood as well as how its laid out. The Forte, for example, is available in both a standard sedan and a five-door hatchback configuration – as well as a three-door hatchback called the Koupe. The Elantra comes only in sedan and five-door hatchback (Elantra GT) versions – but offers two optional turbocharged engines that the Forte doesn’t. 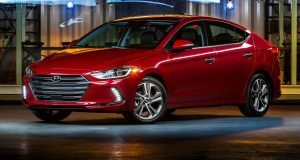 Elantra prices begin at $17,150 for the entry SE trim with 2.0 liter engine (shared with the base Forte) and a six-speed manual transmission. With the optional six speed automatic, the price is $18,150. An Elantra Eco – defined by its 40 MPG-capable 1.4 liter turbocharged engine and seven-speed automated manual transmission – stickers for $20,650 to start. 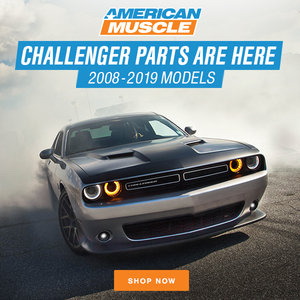 There is also a Sport trim, powered by a 1.6 liter turbocharged engine – which you can pair with either a six-speed manual or the seven-speed automated manual. Base price with the manual manual is $21,650; with the seven-speed automated manual, it’s $22,750. At the top is the Limited – with a turbocharged 2.0 liter engine (not the same 2.0 engine as in the base SE trim). It starts at $22,370. Buyer’s note: The Elantra GT – which starts $18,800 with the manual and $19,800 with an automatic – is a carryover from last year and largely the same. Cross-shops include the Honda Civic sedan ($18,470 to start) and the Toyota Corolla ($18,500 to start) and the Elantra’s brother from the same mother, the Kia Forte ($16,490 to start). 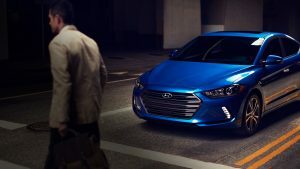 You might also want to cross-shop the Elantra against the Sonata – which is officially mid-sized but not tremendously more roomy on the inside than the nominally “compact” Elantra. . . But the Sonata starts at $21,600 – and if you load it up, it can cost well over $30k – a sum you’ll only pay for the Elantra if you leave a brick of $100s in the salesman’s glovebox. The ’17 Elantra sedan is a wheels-up new, total redesign. The GT is a carryover – and may (or may not be) updated later in the year. In keeping with the trend toward ever nicer, even the base SE is a really nice car – and has more amenities than most cars at least one notch – and even two – up the food chain were expected to have as recently as even two or three years ago (see more about automotive democratization here). This “entry level” car is available with adaptive cruise control, three-level seat heaters, lane departure warning and automated emergency braking (in case you fail to notice the need to stop). It comes with a seven inch, voice-activated LCD touchscreen. The trunk senses your presence and opens automatically, hands-free. 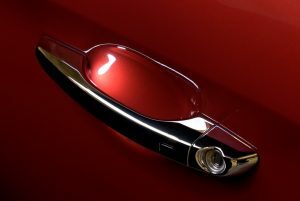 There are LED puddle lamps built into the door pulls. And despite all that, the new Elantra’s base price is $100 less to start than the price of last year’s Elantra. Almost matches Civic’s best-in-class mileage (with its optional 1.5 liter engine) for $850 less up front ($20,650 vs. $21,500 for the Civic 1.5 turbo). 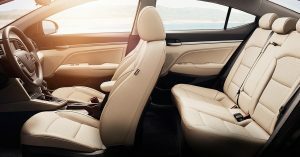 Almost matches Sonata’s interior room – as well as its interior looks – for $4,450 less up front ($17,150 for the base Elantra vs. $21,600 for the base Sonata). No such thing as “entry level” any more. Just lower cost vs. you paid too much. Five-door GT is yesterday’s Elantra. Similar Kia Forte costs less – and is available in all-new five-door hatchback form. Early onset tire squeal in the Eco when cornering at a less-than-Clover pace; over-boosted steering. You’ve got lots of options. The standard Elantra engine is a 2.0 liter four – not turbocharged – that makes 147 hp at 6,200 RPM and 132 ft.-lbs. of torque at 4,500 RPM. 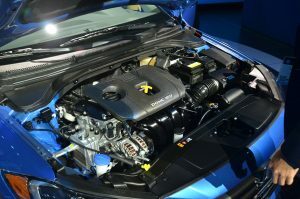 As in the Forte – where this engine is also standard – this isn’t the same 2.0 liter engine used in the previous Elantra. It’s an all-new design, with Atkinson cycle combustion timing – basically, a form of variable valve timing set up to maximize efficiency. It’s also a very high compression (12.5:1) engine that manages to run on regular unleaded. It delivers 26 city, 36 highway with the standard six speed manual transmission and 29 city, 38 highway with the optional six-speed automatic. These stats are all a notch above the standard – and only available – engine in the $18,500 to start Toyota Corolla, which comes with a 1.8 liter four that makes 132 hp, is paired only with a continuously variable (CVT) automatic and gets a so-so 28 city, 36 highway. The Honda Civic comes standard with a 2.0 liter four (and a six speed manual) and beats both, with an EPA rated 28 city, 40 highway. But its base price – $18,470 – is $1,320 higher than the Hyundai’s, which erases the Honda’s marginal at-the-pump savings. Next up depends on what you’re after. 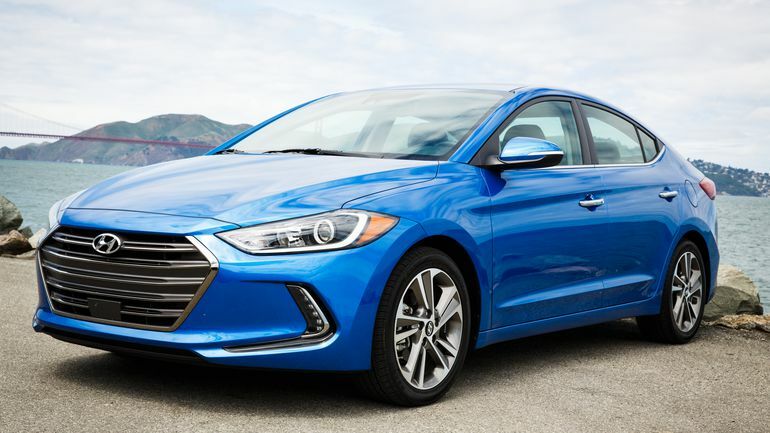 If it’s more performance, you can order an Elantra with a 201 hp 1.6 liter turbo engine, paired with either a six-speed manual or a seven-speed automated manual. This version of the Elantra still manages a not-bad 22 city, 30 highway with the six speed manual (and 26 city, 33 highway with the optional seven-speed automated manual) and also gets to 60 much sooner: Mid sixes vs. low eights for the 2.0-equipped Elantra. There is also a third option – a 1.4 liter turbocharged four, paired only with the seven-speed automated manual. The combo is set up for maximum efficiency, which it delivers: 32 city, 40 highway. The Honda Civic – when ordered with its available 1.5 liter turbo engine – can beat this, but only just barely: 32 city, 42 highway. But – as above – the Civic so equipped costs more to buy: $21,500 vs. $20,650 for the Elantra “Eco.” The difference in initial outlay erases Honda’s negligibly better gas mileage. Like all the others in this class of car, the Elantra is front-wheel-drive. You might think the “Eco” version of the Elantra is the slowest version of the Elantra. And here we arrive at another point of communion with the Hyundai Sonata. Both these cars offer “Eco” engines – very small displacement, highly turbocharged. 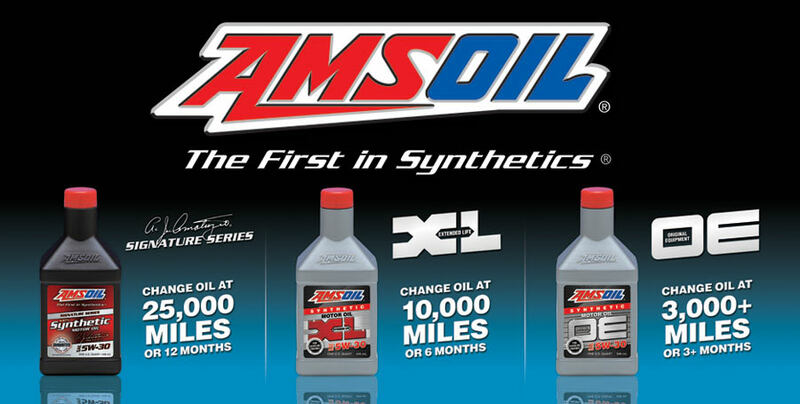 They deliver the performance goods as well as the mileage goods. First, they are torquemeisters. The 1.4 engine produces 156 ft.-lbs. from 1,400 RPM onward – as opposed to 132 ft. lbs. made at 4,500 RPM for the standard (much larger) 2.0 liter four. 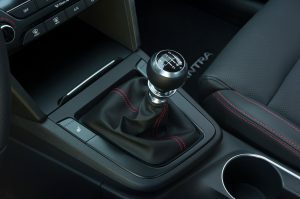 Second, all that immediately available torque passes through a very efficient and very quick-shifting transmission – the seven-speed automated manual. The result is a zero to 60 run (mid sevens) that’s much quicker than the base-engined Elantra’s – and not too far off the pace of the performance-engined Elantra’s. It’s the same story, Sonata-wise. The sleeper is the “Eco” version – which runs almost as hard as the performance one. Either way, these engines are outstanding. Years ago, you could also buy 40 MPG-capable cars. But they were slow. And far from speedy. The early ’80s K cars I grew up with, for instance. They topped out around 85 MPH – maybe a little more, on a downhill. But not much more. Floor one of those at 60 and nothing happened except sad noises. 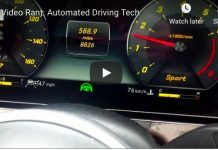 A car like the Elantra Eco, meanwhile, will jump from 60 to 100 in a few eye blinks and – if you have the balls – hold triple digits speeds breaking less of a sweat than a K car did maintaining 70. The 1.6 Elantra is more fun still, but the point here is you don’t have to choose fun – or frugality. The Eco Elantra gives you both. I hammered one for a week and it never averaged less than 34 MPG. Ride quality is another high point; it is approaching the standard of the mid-sized Blue Chips (cars like Camry and Accord – and Sonata, too). This is another elaboration of the fact that “entry level” cars no longer exist except as a marketing construct. Hyundai ought to offer prospective buyers a side-by-side test drive of a new Elantra vs. a restored 1985 Excel. That would open people’s eyes. Maybe too much . . .
One thing about the Elantra that’s kind of neat is the forward view, which is much more expansive than usual. Because you hardly see the hood; it drops out of line of sight, leaving the road right there in front of you. The Eco does ride on mileage-minded 15-inch wheels, a size that is one size below what has become de facto standard equipment. This has some upsides and some downsides. On the upside, lower rolling resistance. Good for economy. And it’s easier to squeal the tires. Which is another species of fun. You can do a rolling burnout in this thing. Hilarious! Walk it out a few yards after the light goes green, then floor it – and the front tires will skitter (and squeal) as the turbo 1.4 engine’s torque overwhelms their grip. On the downside, the smaller contact patch means less grip in the curves. Lots of early onset squeal, if you really go at it. They will hear you coming on top of the mountain. Also, while it used to be true that fifteens were the way to go for a low-cost tire, it’s no longer as true – because so few fifteen-inch tires are being made any more. 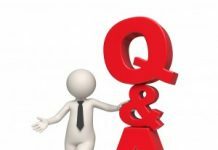 Sixteens and seventeens are much more common and – economics 101 – the more of something there is on the market, the less its cost because of economies of scale and also because of competition. 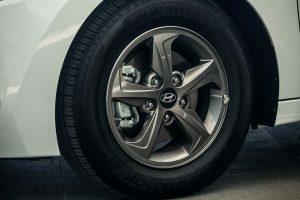 It’d be interesting to test an Eco Elantra with the 16 inch wheel/tire package that’s available with other Elantra trims and see whether it makes a big difference as far as gas mileage. Probably not. But I bet it would make a big difference as far as cornering grip. 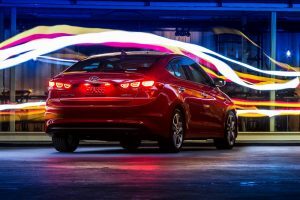 It’s interesting to compare/contrast the Elantra’s physical specifications and those of its close kin, the Kia Forte – and also its nominally bigger brother, the Sonata. The Elantra is 179.9 inches long overall vs. 179.5 inches (slightly shorter overall) for the Forte sedan. Yet the Kia has the roomier backseat: 37.3 inches of legroom vs. 35.7 in the Hyundai. That’s a not-small difference – in favor of the Kia. Headroom is another point of departure. There’s a bit less (38.8 inches up front) in the Elantra vs. the Forte sedan (39.1 inches). The Kia also has a slightly larger trunk: 14.9 cubic feet vs. 14.4 for the Elantra. But the really interesting side-by-side is to compare both of these “compacts” with the “mid-sized” Sonata. It (the Sonata) is a much longer car overall – 191.1 inches, about a foot longer overall than either the Elantra or the Forte sedan. But its backseat legroom – 35.6 inches – is less than in the Forte and only indistinguishably more than in the Elantra. You do get more legroom up front in the Sonata (45.5 inches) but neither the Elantra (42.5 inches) nor the Forte (42.2 inches, a bit less than in the Elantra) are lacking in that department. Any of them have more legroom than most adults under 6 feet 3 will ever need. Put the driver’s seat as far back as it goes and most of you won’t e able to reach the pedals. Point being, the Elantra’s not “compact” where it counts (and the Forte even less so). The ’17s styling further blurs distinctions. It looks like a mini-me Sonata. Outside and inside. Similar face and side profile; very similar dash/center console layout. 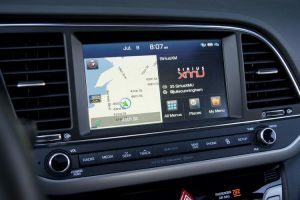 Including a handsome 7 inch LCD color touchscreen very similar to the one you’ll find in the Sonata. 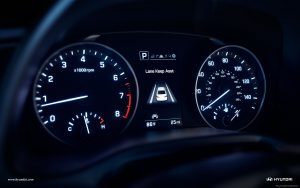 You will also find such things as keyless/push-button ignition, puddle lighting built into the exterior door pulls, three-stage seat heaters, hands-free “smart” trunk opener that automatically pops open when it senses your presence, LED/projector beam headlights and adaptive cruise control – which automatically brakes and accelerates for you, keeping pace with the ebb and flow of traffic. Check every box – buy the top-of-the-line Limited trim ($22,350 to start) and every available option – and maybe you’ll be looking at $25k or so out the door. A loaded Sonata Limited – in many ways comparably equipped – starts at $34,350. Check every box and you could pay close to $40k for a loaded one. The one Big Thing the Sonata has over the Elantra is its available 245 hp turbocharged 2.0 liter four. 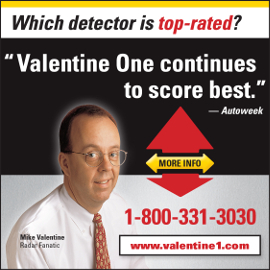 But you might want to cross-test one against a 1.4 liter or 1.6 liter-equipped Elantra. Hyundai still has the best warranty coverage in the business – 10 years/100,000 miles on the powertrain. 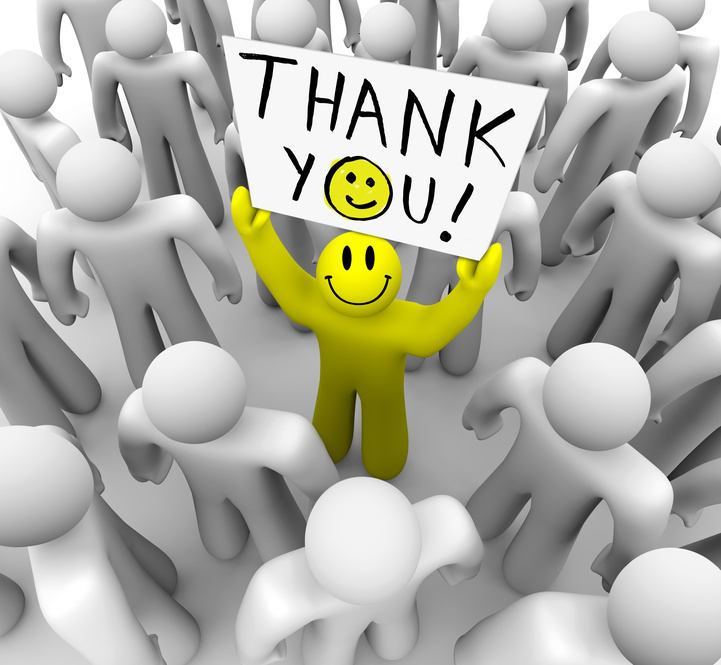 This was put in place when Hyundai was new and its cars not quite as good as the Blue Chips and a really top-drawer warranty was necessary to give people peace of mind. To get them to take a chance. Today, Hyundais (and Kias) are as good – or better – than the Blue Chips. And they still give you as much as twice the warranty coverage as some of the Blue Chips. The only negative thing about this car is that it takes away from another very good car – the Sonata. But that’s Hyundai’s problem – not yours! 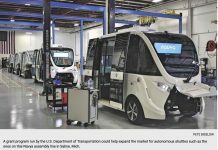 If you like EPautos, please consider supporting EPautos. 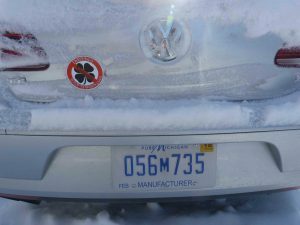 PS: EPautos magnets are free to those who send in $20 or more to support the site. Previous articleDo You Dig It? So Eric, are all these increasingly common ‘automated manual’ transmissions as expensive to, not repair but replace, as the VW DSG? I’ll ask my shop owner friend. Oh, I remember what a 1985 Excel was like, you don’t forget cars like that. It was a turd on wheels, well until the wheels fell off. But, don’t forget one could be had for about four grand brand new, they were cheap turds. Go back to 1985 and tell people that there would be forty thousand dollar Hyundais in 2017 (and that Trump was the president). I think most though Hyundai wouldn’t be around very long with the start they made.